Rose shrubs come in a variety of forms, from miniature to climbing. They are grown for their attractive and often fragrant flowers, which bloom mainly in early summer and fall..
Old roses are those introduced prior to 1867. These are the lush, invariably fragrant roses found in old masters’ paintings. There are hundreds of old rose varieties—whose hardiness varies—providing choices for both warm and mild climates. Modern hybrid roses are sturdy, long-blooming, extremely hardy and disease-resistant, and bred for color, shape, size, and fragrance. Species, or wild, are those that have been growing wild for many thousands of years. These wild roses have been adapted to modern gardens and usually bloom in the spring. Choosing from all the possibilities can be a daunting task. Take your time and come out and wander through our nursery to get a feel for which ones appeal to you more. Or take a photo when you are visiting a rose garden, or your neighbors prized beauty, bring it in and we will try and match it for you. Pruning is about more than just looks. Proper pruning improves the health of your rose bush, prevents disease, and encourages better flowering. There are different pruning strategies for different times of the year, but overall the goal is always the same: to keep the bush vigorous and open, allowing better air circulation through the center of the plant. Air movement dries the leaves, which helps prevent foliage diseases. Fungal diseases like black spot and powdery mildew are more common on plants with congested growth in the middle of the plant. Whether you are deadheading blooms during the summer or performing your annual spring cutback, it is important to consider how a rose grows. How you prune a particular rose will always be the same. Pruning cuts should always be made just above a bud eye. "Bud eye" refers to the area on the stem where branching occurs. In the summer, it's easy to figure out where to prune, just cut right above a set of mature leaves. On roses, there is always a dormant bud where leaves attach to the stem. You'll have to look a little harder to find the bud eye on dormant or older canes; they are located just above the crescent-shaped leaf scars along the stem. Basic rose pruning involves the 3 Ds: removing dead, damaged, or diseased branches. Dieback is common in roses and most often occurs when a pruning cut has been made in the middle of a branch as opposed to at the bud eye. Since the rose wants to direct growth into the terminal bud, any portion of the branch left between the pruning cut and next bud eye will die back. Sometimes the closest bud eye is not viable, in which case dieback would occur farther down the stem to the next healthy bud. Dead wood is typically brown in color but may also be blackish if caused by winter cold damage or frost injury. When planting your roses you want to give them the best start possible. 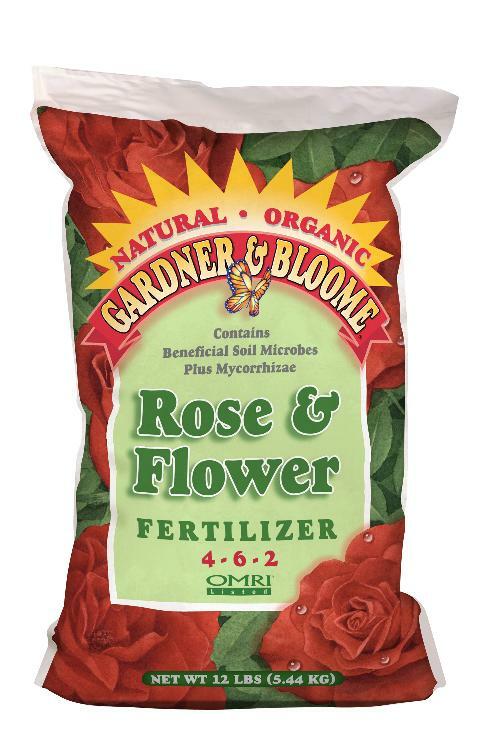 We recommend you use either Black Forest, Gardeners Gold, or Rose Planting Mix. All have the nutrients needed to get your roses off to the best start possible. Don't forget to also add in a healthy dose of either Starter Fertilizer or Rose and Flower for that extra little punch they need. All of these products are certified organic. Visit www.kellogggarden.com for more info on all their wonderful products that we carry here at the nursery.